Device Driver Manager is developed by Schoelje, and this tool to help users installing third-party hardware drivers. 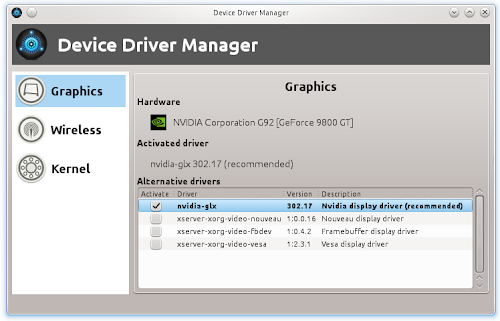 Currently Nvidia, Intel, ATI, VIA and Broadcom drivers can be installed and allows to install the PAE kernel for multi-core 32-bit systems. 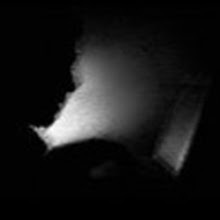 DDM uses the repositories to download and install the appropriate packages. 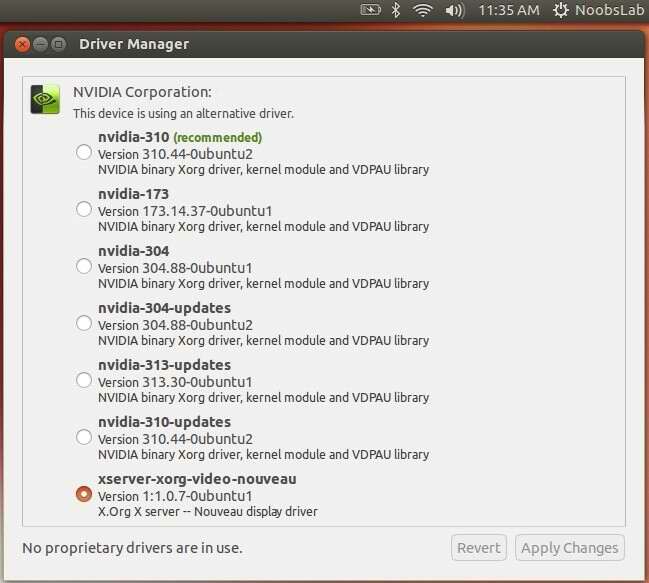 Linux Mint 15 had Driver Manager for the first time which is developed by Linux Mint team. 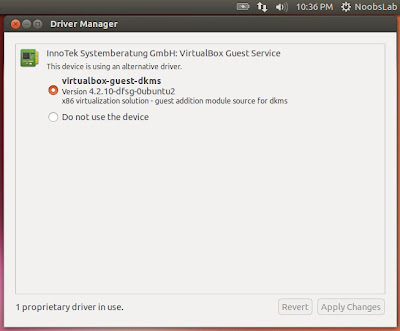 Mint-Drivers relies on the same Ubuntu driver manager back-end and works the same way as software-properties-gtk. It just looks a bit better than Ubuntu Additional drivers. 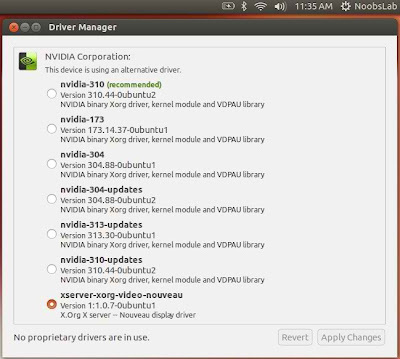 Drivers are listed by package name, and their version are clearly stated (in the case of the NVIDA drivers you can therefore choose according to a particular version instead of wondering what "current" or "updates" really mean). 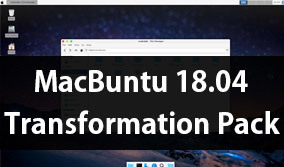 Devices from popular brands (NVIDIA, ATI, Broadcom, Samsung and so on...) are illustrated with an icon.